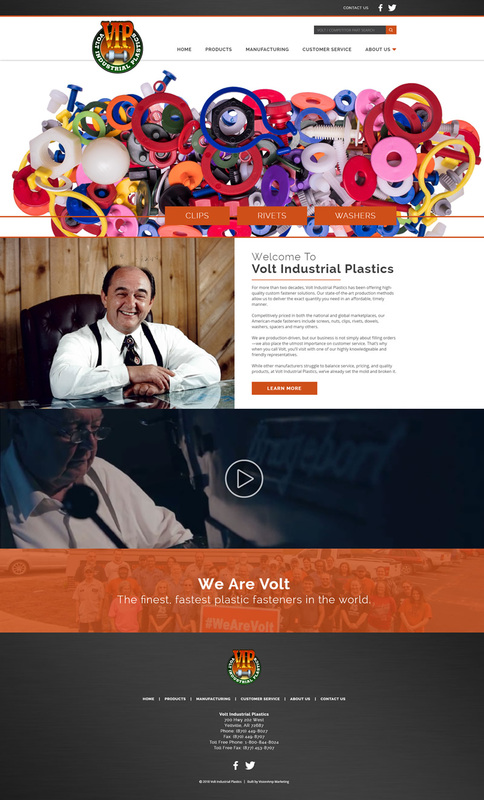 VisionAmp Marketing worked with the team at Volt Industrial Plastics to create an updated mobile-friendly website. The new website features eye-catching images and easy to use navigation. The home page also features three buttons that are linked to the company’s three most popular products and a video that highlights the company’s history, the company’s founder, and the employees. Written descriptions were also added to many of the product pages. 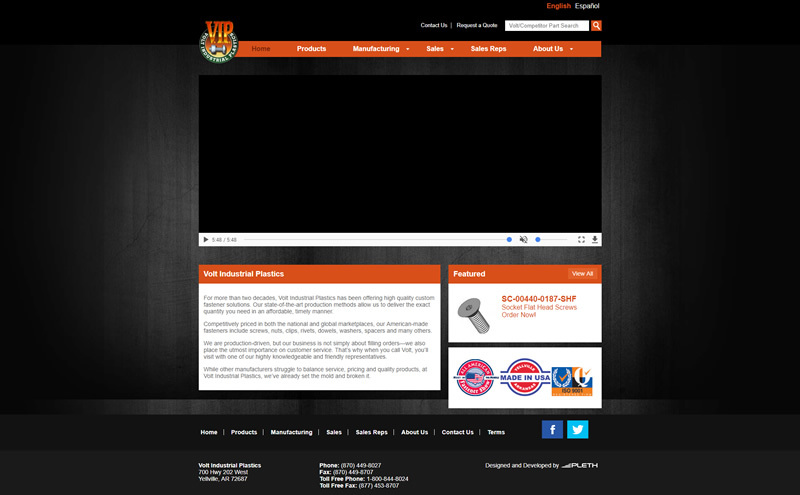 Volt Industrial Plastics offers high-quality custom fastener solutions using state-of-the-art production methods. Fasteners include screws, nuts, clips, rivets, dowels, washers, spacers and many others.